Get same-day, in-home appliance repair in Ludlow from L&W Appliance Service. We provide 24/7 emergency service for your next repair. If your appliance is broken, we know you need it fixed as soon as possible. That’s why we keep our trucks stocked with the most popular and common appliance parts so we have the part we need to get the job done- that day. All parts are OEM, factory-authorized parts for a dependable repair. Our technicians are fully-licensed and factory-trained to provide you with expert service. We work on nearly all brands and models of household appliances, from such manufacturers as GE, Frigidaire, Maytag, Kenmore, Hotpoint, Westinghouse and more. See our Appliance Repair page for more information. If your appliance is not working, give us a call today! 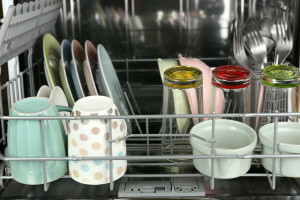 If your dishwasher is not cleaning as well as it once did, check the spray arms and clear any food particles stuck in the water dispersal holes. Also, move larger pans and dishes towards the outer area of the dishwasher rack so they are not blocking the spray from cleaning the other dishes. Ludlow is a town in Hampden County, Massachusetts. The population was 21,103 as of the 2010 census, and it is considered a suburb of the city of Springfield.